Aesthetic Design & Build is the premier supplier of custom Eclipse retractable screens in the metropolitan St. Louis area. Aesthetic Design & Build is proud to be the exclusive St. Louis supplier of Eclipse Shading Systems' retractable screens. The product specifications of Eclipse retractable screens are listed below. 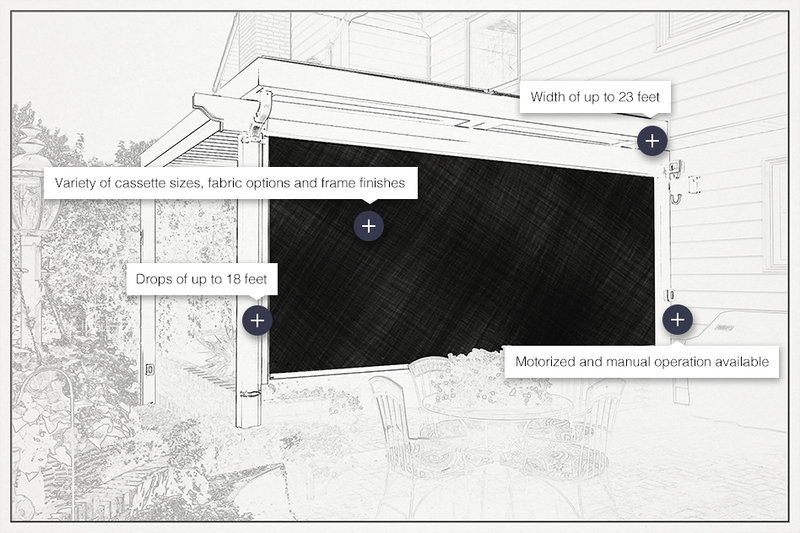 Retractable screens are an innovative way to block out sunlight and insects from your outdoor living space. Perfect for outdoor patios, screen rooms, pergolas and louvered roofs, our screening options add an element of privacy and security to virtually any part of your outdoor living space, making them even more versatile and further protecting your investment. Our retractable screens are fully customizable to suit each home's unique needs and design elements. If you think that an Aesthetic Design & Build retractable screen is the perfect solution for your outdoor living space, contact us today or call us at 636-532-5008!